The start of a brand new year also means the first Glossybox of 2019, I originally wasn't going to subscribe again to this beauty box and was going to try a different brand, but in the end I decided to stick with it as I knew I would regret it otherwise....so here's to another year with Glossybox! 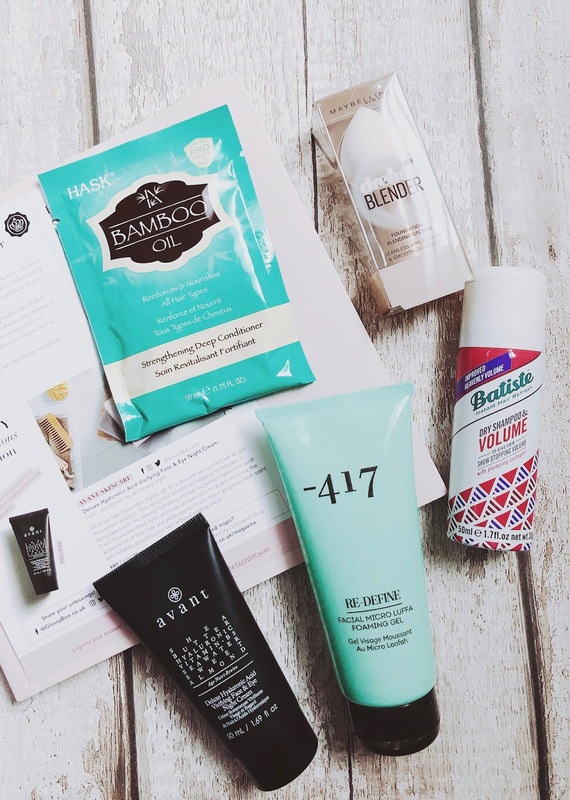 So let's see what Glossybox had in store for us in the month of January by taking a look inside this month's Glossybox which is the "Beauty Resolutions Edition" - Me personally was rather happy with the contents of the box this month. This was the main product in this month's box and is a full sized product apparently, it is priced at £98 over on there website which well and truly pays for this box itself and a hell of a lot more. I used this for the first time the other night instead of my normal night cream, I loved the scent of it and it also made my skin feel so nice! Would I pay £98 for it though? Probably not no, I myself just couldn't justify paying that much for something (I'm tight when it comes to money haha). I have to be really careful when trying out different facial skincare products, just because of how sensitive my skin can be at times. I used this for the first time last night though and so far it hasn't affected me badly which is a good thing, it also leaves your face feeling thoroughly cleansed aswell. I haven't opened this to see if it's any good as I really don't need anymore makeup brushes or sponges at the moment, so I have left this sealed as I am going to pass this onto my sister because she only mentioned the other day that she was in need of a new one. I quite often pass stuff on to my sister from my Glossyboxes if I don't think I will get any use out of it, so she does pretty well each month from these haha. I've never really been one for hair mask's even though I should really make an effort to do them at least once a month to keep my hair in good condition. I think that should be one of my goals for this year, plus I do like the sound of this one and I don't think I have ever used one by this brand before, or at least I don't think I have anyway. I can not even begin to explain how happy I was the morning I received my Glossybox, I really wasn't feeling washing my hair that day but had run out of my normal dry shampoo. So seeing this in the box this month was a lifesaver for me that day, you just can't go wrong with a bit of dry shampoo can you?! Do you subscribe to any beauty boxes? If so which one and what do you think about it?